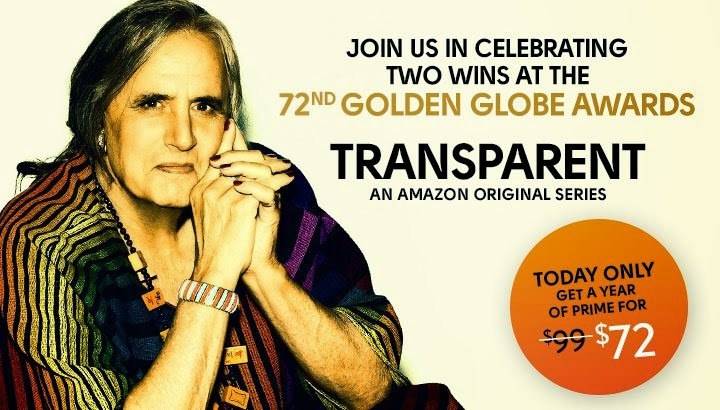 To celebrate Amazon winning two of the 72nd Golden Globe Awards for its original series, Transparent, the online dropped the price for Amazon Prime membership to $72 for Saturday only. The deal is good through 11:59PM Pacific, tonight. No familiar with Amazon Prime? It gives you free two day shipping, free unlimited photo storage, plus exclusive access to movies, music, and Kindle books. 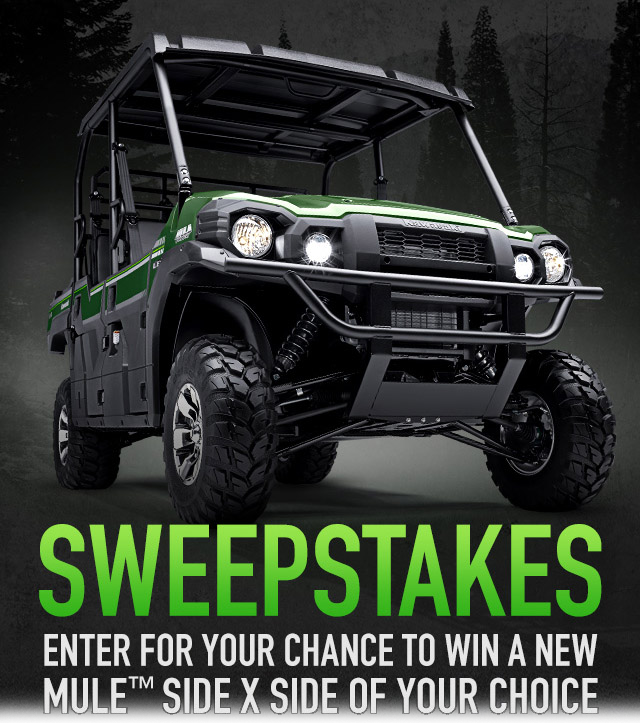 Enter to win your choice of Kawasaki MULE ATV vehicles. Most expensive is worth $15,599. Giveaway runs through 3/9/15. US residents only. 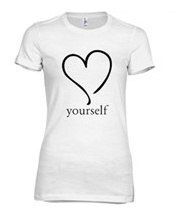 From the folks who brought us the #MTMEshop T-shirt Giveaway in December, another shirt certainly not for me, but one lucky winner will receive a Love Yourself Tee. All candidates are required to sign up to the MTME shop newsletter for consideration. 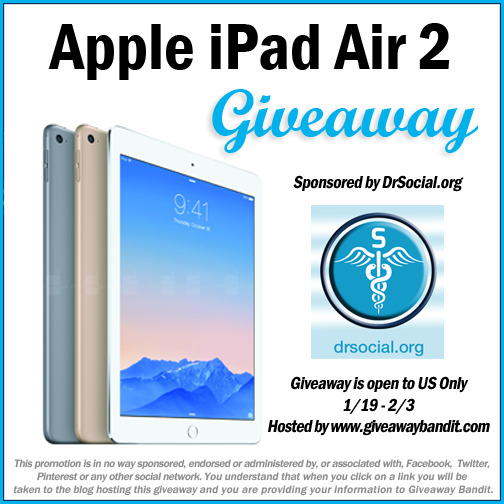 This giveaway ends Feb. 28, 2015. 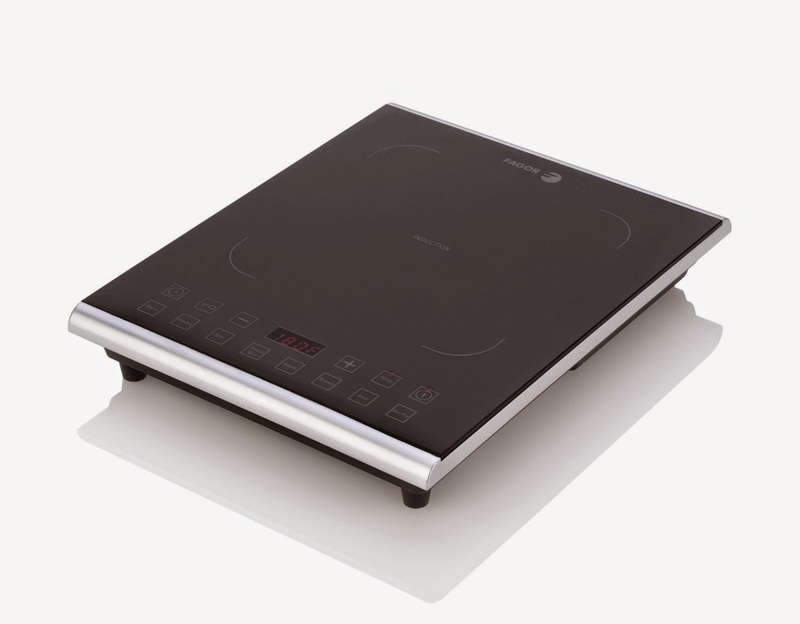 Here's a chance to win a portable induction pro cooktop from Fagor. Giveaway runs through February 3rd. The PRO utilizes 90% of the energy produced compared to 50% used by other cooking methods. The cooktop recognizes the base of the cookware and directly heats only the diameter of the pot, saving you energy and money. 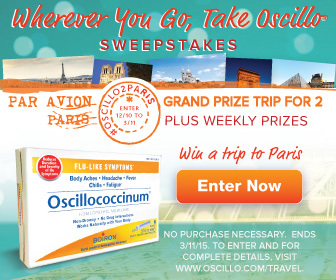 Grab a $2.00 coupon for Oscillococcinum and you can enter to win a 5 day / 4 night trip to Paris. Giveaway ends 3/11/15. Daily entries. Enter the John Soules Foods HDTV Big Game Sweepstakes to win a 65" Samsung Curved UHD 4K Smart TV and watch this year's game in style! Giveaway is US only and runs through 1/26/15. Just a few more days left. 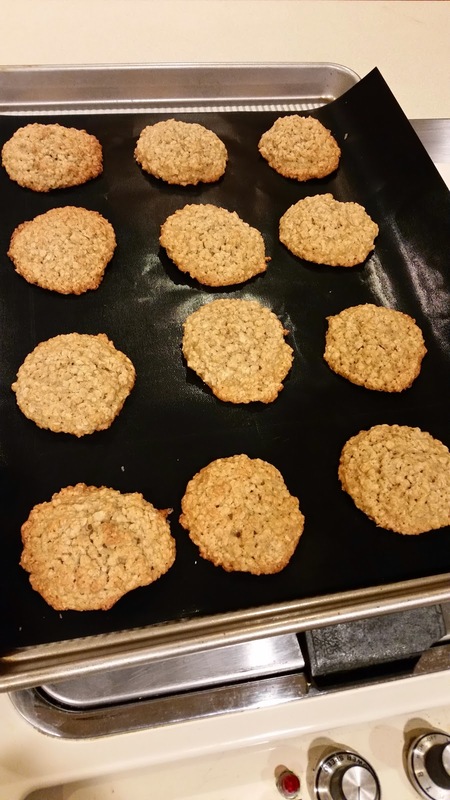 So, I tried out a second recipe in the Cooking with Frank's RedHot Cayenne Pepper Sauce book. 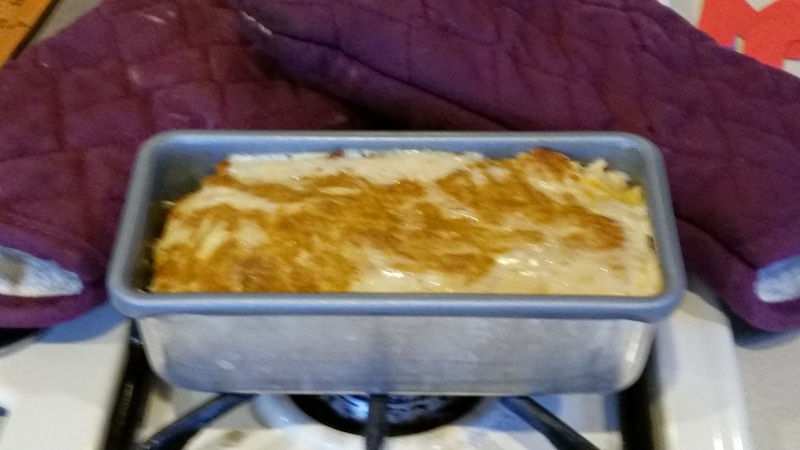 This time their Amazing Glazed Turkey Meatloaf. The recipe called for both Frank's RedHot Original Cayenne Pepper Sauce AND Frank's RedHot THICK Cayenne Pepper Sauce. I didn't have both. 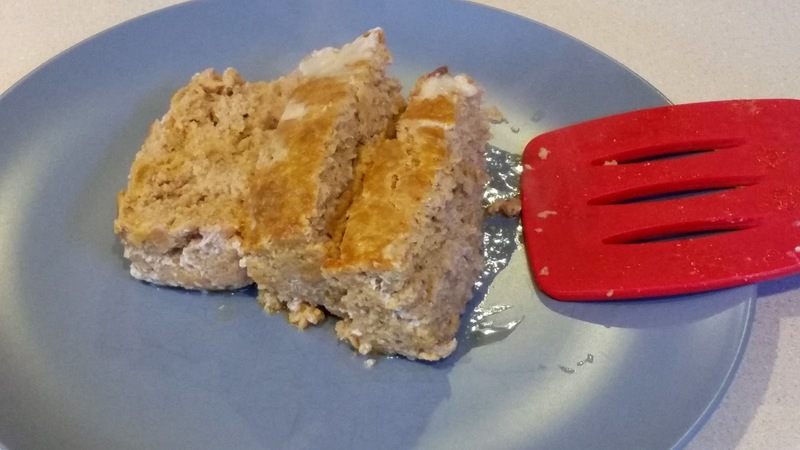 While my ground turkey was only 20 ounces instead of the called for two pounds, it definitely needed a little more bite in it, which probably was the missing THICK sauce. Still good, but needed a little more kick with just the one sauce. One of the biggest hurdles to the perfect themed birthday party is getting all the supplies together. One store might have the Frozen-themed plates you’re looking for, but not the cups or napkins. Welcome to another Yankee Candle giveaway. We're big fans of Yankee here in Boston, and not the New York variety. We practically always have something burning in this house. Here's your chance to win a nice collection of items. $220 worth. Giveaway is US only and ends 2/21. Good luck. Who Does Not Love Yankee Candles? They are amazing and right now Deliciously Savvy and an amazing group of bloggers are coming together to offer this $220 ARV of Yankee Candles! Enter today! Remember you cannot wain if you do not enter! The article below is authored by Elly Bethune, Co-Founder of 9th & Elm. Along with the article is a giveaway for a $100 gift card to 9th & Elm. The giveaway is for US/CA residents and runs through midday on 2/5. Timing should allow you to use it to get an item for the holiday. I couldn't resist signing up for this blogger opp given the company name sponsoring the prize. If you sign up, you get two free links with the announcement. Giveaway itself starts 1/30, so if you only want to win, come back end of month / next month. 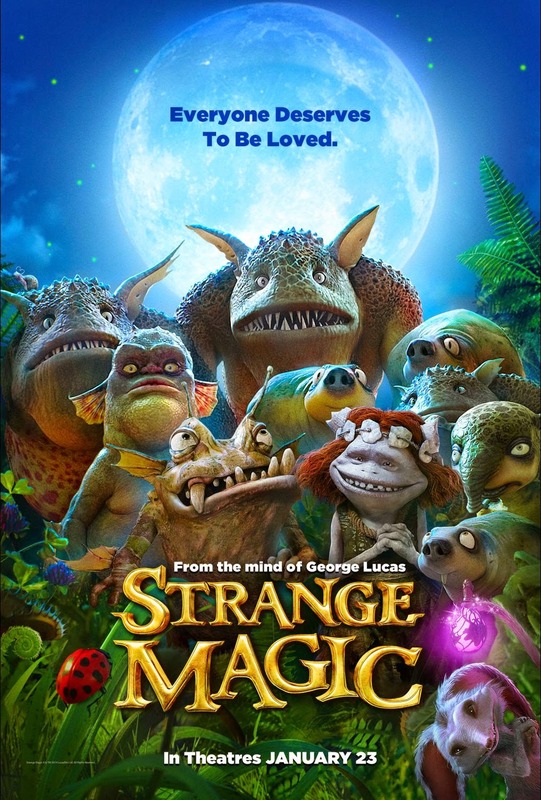 Coming to theatres in just a couple of days (1/23) is George Lucas' latest creation, Strange Magic. Here are some activity sheets to entertain and introduce you to the movie's characters. I haven't run across a good prepper giveaway in some time. Food Insurance is giving away 20 great food storage and preparedness products! Sometimes I wish I didn't have wide feet so I can get all the more interesting shoes / sneakers that come out, like this new offering from adidas. 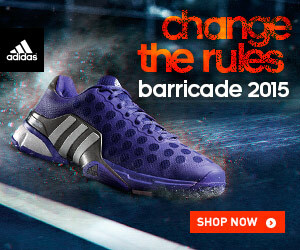 Change the rules with the all new for 2015, best-selling shoe from adidas, the Barricade Tennis shoe. Built for aggressive play, these match-ready tennis shoes feature breathable material and enhanced mid-foot stability to support your every move on the court. Shop the 2015 Barricade today at adidas.com! With Valentine's Day getting closer, we're seeing some nice giveaways for the special day. This is a quick one and ends in just five days. US only. Ends on 1/25, with a Twitter party on the 26th. Info below on party. Welcome to that Diamond Heart Necklace Giveaway. 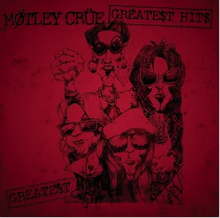 Google Play has the 2009 Greatest Hits album from Mötley Crüe available for free. Get it now before its gone. Trade in those unwanted gift cards, or just buy them cheaper than cover prices. Then, enter to win a $50 Walmart gift card. #Giveaway ends 2/9. Continental US only. Good luck. Healthcare insurance is a big deal to many people. Another thing to watch out for is the health savings account. They allow you to pay healthcare charge with pre-tax dollars by putting it away into an annual savings account. Just be sure to spend it by the end of the year. As far as the giveaway goes, it is US only and ends 2/3. Good luck. It's the perfect place to find a doctor, write or read doctor reviews! You can even ask a doctor to research health information. All of this for FREE! Looking for unique brands and products for your kids? 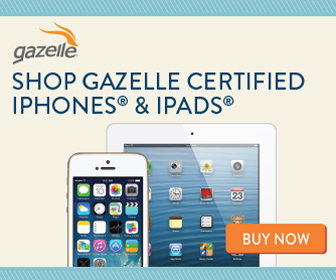 Check out the sales over at Zulily that run 1-3 days. 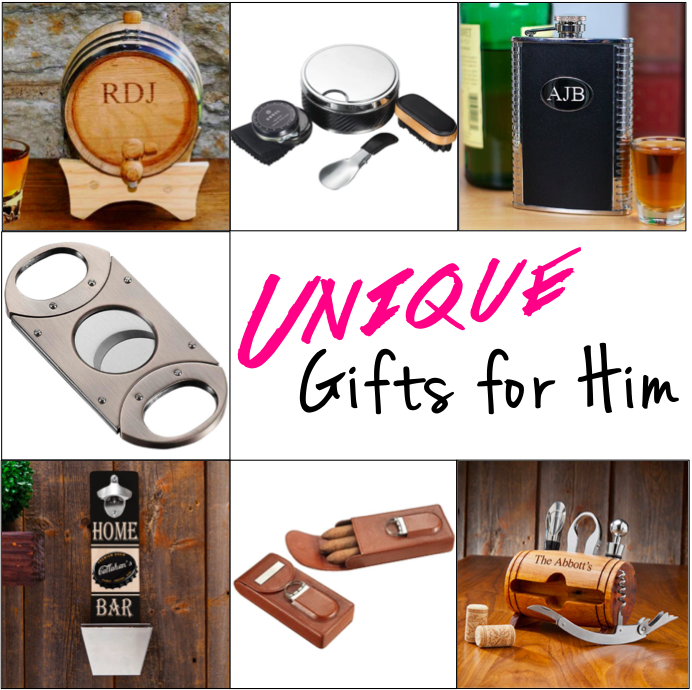 Sign up for their newsletter and you can possibly win a $100 Zulily gift card. Enter by 2/1/15. Winner gets a $100 credit in their account. The "I" in the rest of this article is not me/John. Like many of the giveaways here, I'm helping the host promote their giveaway. Apparently, they played with dolls. As far as the giveaway goes, it is a US only giveaway that runs through 1/28. Good luck. Did you play with paper dolls when you were a little kid? I remember cutting and dressing my paper dolls when I was a little girl. Today, Hallmark has transcending the classic paperdoll into something new and fun ~ The Penny Paperheart Doll! Penny Paperheart is more than a doll. 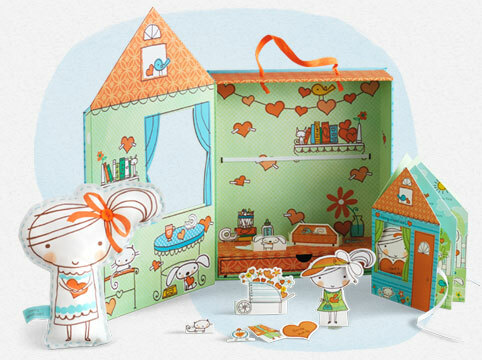 This adorable paper girl comes with unique stories and messages of caring to share with those around her. She and her paper friends from their paper world inspire imaginative play and creativity. And through Penny’s paper hearts of kindness made for giving to friends—or even strangers, she helps instill the power of goodwill with little ones. Trademarked and available exclusively at Hallmark locations, Penny Paperheart will give you and your little one hours of fun, creativity and sharing as you immerse yourselves into Penny and her paper friends world. 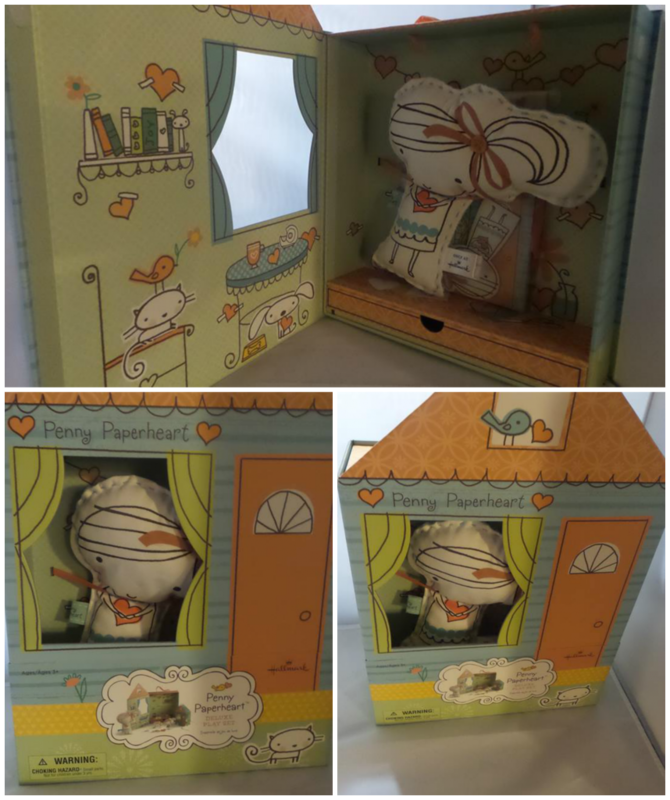 The house-shaped Deluxe Play Set is the perfect way to introduce your little one to Penny Paperheart. Along with a sweet book and a fabric Penny doll, the set includes a paper Penny, paper clothes and accessories, and pages of perforated paper hearts of kindness to share. When playtime is done, tuck away all the perforated pieces in the set’s storage drawer. Be sure to check out Penny Paperheart and all of her paper friends available at Hallmark. This Valentine's Day would be the perfect time to introduce your family to Penny Paperheart. Now, no running around with knives if you win this one. It is open to continental US residents and those of Canada, excluding Quebec. You have through 2/7 to enter. 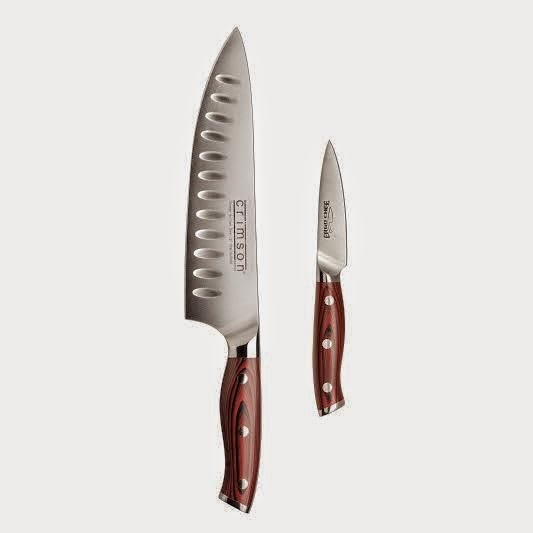 New Crimson G10 8" Straight Handle Chef Knife and the Crimson G10 3.5" Straight Handle Paring Knife. 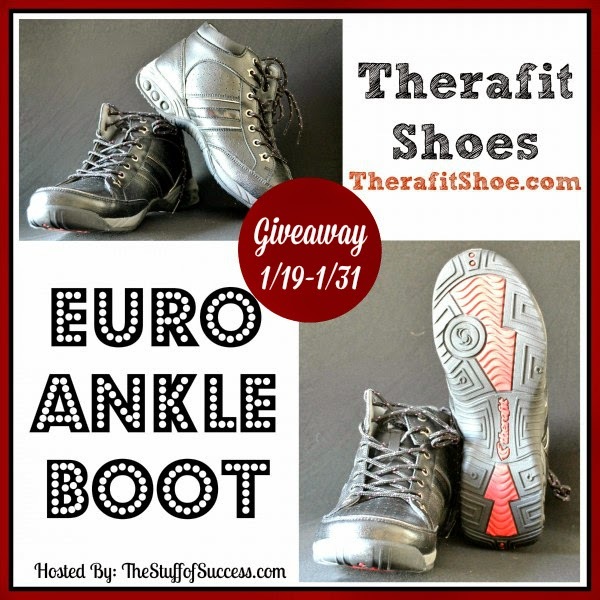 US residents have a chance to win a pair of Euro Ankle Boots from Therafit. Giveaway ends 1/31. They look comfortable, but don't exactly come in my size... Good luck. The Euro Ankle Boot by TherafitShoe has all leather uppers and fully padded collars. This light-weight boot has a removable insole with superior arch support and deep built-in heel cushioning. It is designed for support, comfort, cushioning and they are gorgeous. Therafit is also a socially conscious organization. They support animal rescues and adoptions and that is so near and dear to my heart – I applaud them for their support. They support children through education, arts funding, wellness programs and special needs inclusion – again, this goes straight to my heart strings since I have special needs children who need all the support they can get. And finally they support research and development for health issues for women and their community outreach through Therafit’s One Step Forward Giving Program. All great social supports and definitely doing what they can to make a difference in the world and in our lives. Check out the full review at TheStuffofSuccess.com. With the phase out of incandescent light bulbs, I've looked all over the place for replacement options. I stockpiled a bunch of 100 watt bulbs, jumped on the CFL bandwagon early on, and quickly abandoned it due to the mercury in the bulbs, recycling requirement, and the fact they don't illuminate fully immediately. 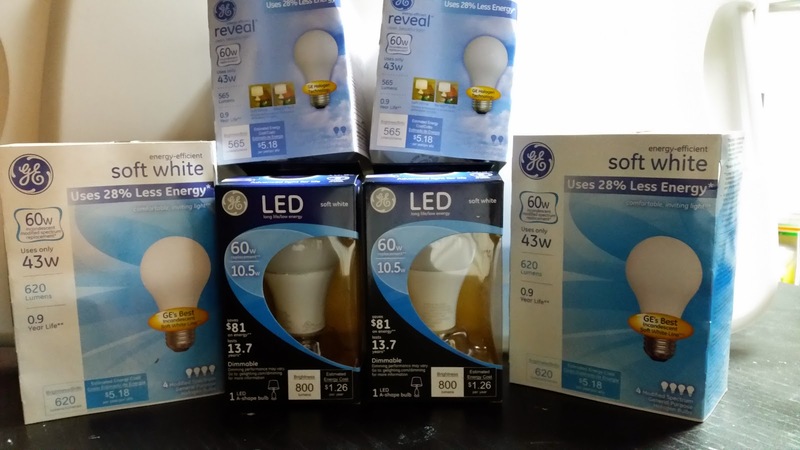 Lately, I like LED bulbs, if you can find them on sale as they aren't cheap, and the eco-incandescent alternatives are looking more interesting, as a less expensive option. I basically just want to see what I'm doing, but I like seeing the electricity bills go down, or at least the energy usage. The cost of energy has gone up at least here in the northeast. If we can reduce the need through smarter lighting alternatives, the bill doesn't go up that much. Somehow, we're in the 90th percentile of usage among neighbors so we're clearly dong something wrong, even after reinsulating the attic. (We use more than 90% of our neighbors.) As bulbs burn out, we're replacing them with those that cost less to use. Hopefully, that will bring our bills down some. I can't see just throwing out all the good bulbs and replacing them with energy saving ones. What are you doing with the latest in lighting options? 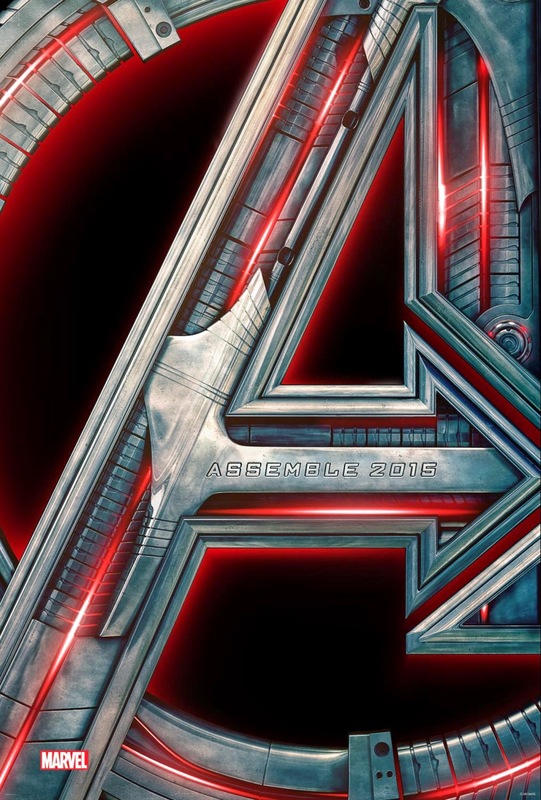 The first movie from Phase 3 of Marvel Cinematic Universe, Marvel’s AVENGERS: AGE OF ULTRON is coming to theaters May 1, 2015! Here's something I'd love to win myself. 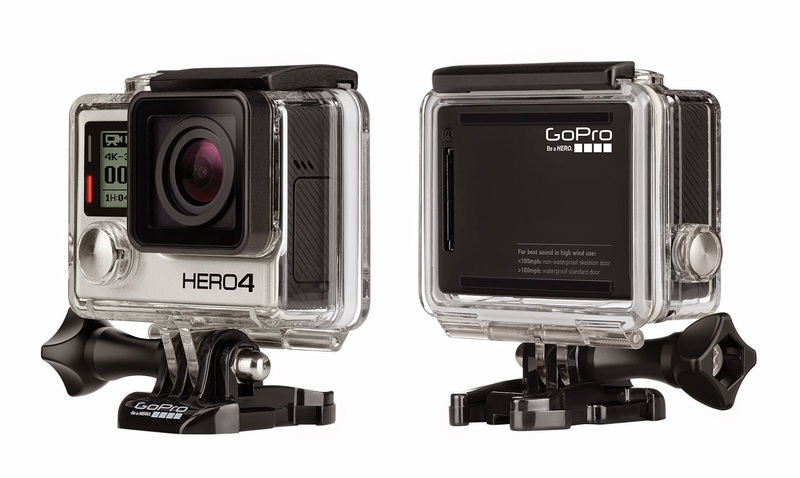 We have a giveaway for a GoPro HERO4. The giveaway is open worldwide, but residents of Taiwan, South Korea, Portugal, Italy, Austria, China, Russia, Hong Kong, Greece, France, Japan, Spain, and Czech Republic are not eligible, probably Quebec, too. And, you have through 4/10/15 to enter, ending at 12:00 am UTC.